Students get ready to enjoy time away at Camp Connexion in 2017. As the school year ends and the camp season begins, children and student pastors will be handing out packing lists and parents will be buying sunscreen as they prepare to send their kids off for a time of fun, spiritual growth and renewal. But some parents in the Lafayette County area won’t need to send their precious ones very far for camp if they take advantage of Camp Connexion right in their own backyards. 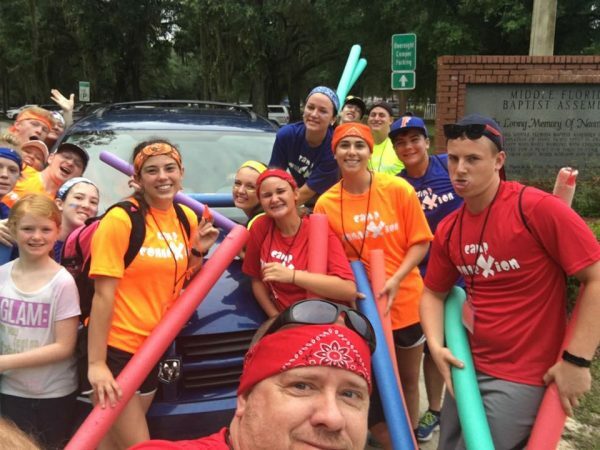 Camp Connexion will take place June 4-7 at the Middle Florida Baptist Assembly campground at Pickett Lake for children from second to sixth grade. 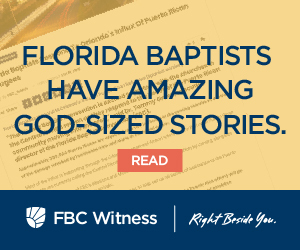 Florida Baptist Convention North Florida Catalyst Gary Townsend said several area churches come together to pull off the event which has been a summer staple for the last decade. Chad Little, children and outreach minister at Airline Baptist Church in Mayo, is passionate about Camp Connexion and making sure it remains an avenue for children and youth in the area to grow spiritually. While the camp serves second through sixth graders, this year they have 24 ninth through twelfth graders who themselves were once campers and will now be serving as camp counselors. Little loves that the camp continues to have a lasting impact on students of all ages. Little and other camp leaders do projects at the camp year round to make sure it’s in good shape for the students each summer. When Townsend heard that the camp had some needs, he worked to get them the resources necessary to make camp possible. “Gary listens and understands and has great support for us,” Little said. Little was especially touched by Gary’s presence at camp one rainy Wednesday night. Little shared that on that particular Wednesday night there were 28 professions of faith, 12 students rededicated their lives to Christ and two answered God’s call into the ministry. “This happens every year at Camp Connexion,” Little said. Townsend loves how the churches in this area are impacting students. “The reach of churches in Mayo extends into the next generation,” he said.